Ballerino (2014) - the term means a male ballet dancer, as opposed to a ballerina for females - is a seriously poignant, unforgettable, and beautiful experience. When I decided to watch it since I love to watch dancing I wasn't that familiar with either of the two main actors, young Choi Tae-hwan and older Lee Yong-woo, but as the story progressed they both won my heart over completely, especially the younger Choi Tae-hwan, who displayed an acting passion and depth so brilliantly, and so beyond his tender years, that he seemed like a real person to me and not just another character in a show. It's obvious he gave his entire heart and soul over to this performance. This short drama of only two episodes features a heart-wrenching story line that is brutally realistic -- while concentrating on the art of dance as a backdrop, the main character is a struggling to survive North Korean defector who will just wring your heart as he longs to be restored to his younger sister, who was cruelly kidnapped from him during their escape to South Korea. As if MBC knew they had something unique and poignantly special in their roster of dramas, they aired the two episodes at Christmastime in 2014. Episode two, especially, is so beautiful that when it was over I couldn't stop crying for a good ten minutes! Be prepared with a box of tissues when you watch Ballerino. A young man named Pyeong Ho (Choi Tae Hwan) who escaped from North Korea to South Korea, takes any kind of menial job he can find to survive, but all the time he is haunted about his younger sister who was grabbed from his arms and taken by force to China during their escape a year earlier. He tries to keep tabs on her through the underground and finds out she is being abused sexually, and it drives him crazy. He saves all his money to free her -- her captors want $1500 to let her escape. Then the "friend" with whom he is boarding steals the money he has saved to free his sister, and takes off to Canada. The police tell Pyeong Ho that he's got an arrest record a mile long for thefts from young girls and North Korean defectors: he appears to befriend them at first, and then steals their money. With "best friends" like this, who needs enemies? Since he was a child Pyeong Ho has loved ballet, he has a dancer's graceful body and good movement but has never had any formal training. A pretty ballet teacher with her own studio sees promise in him and tells him she will give him lessons for free. Enter Sun Woo, age 35, the most famous ballerino with the Korean National Ballet -- apparently his career has been waning, and one big reason is that he is full of himself and has anger issues. His boss fires him from the ballet and he can no longer use the studio to practice dancing. 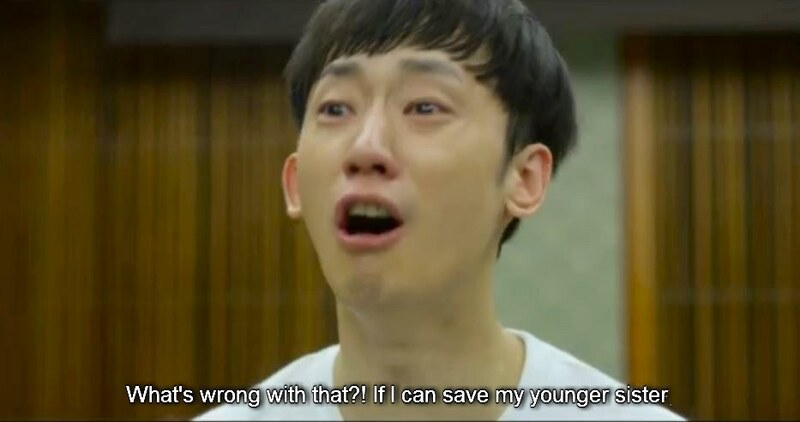 The lady teacher who is teaching Pyeong Ho -- who used to be Sun Woo's girlfriend -- makes a deal with him: teach this kid ballet for free and give him shelter and she will allow Sun Woo to use her studio for practice space. At first Sun Woo balks, until he sees the kid dance and he too sees great promise in him. Then he even grows fond of him through their practices together, and Sun Woo eventually learns his secret about being a defector and about his younger sister trapped in China. They become like older brother, younger brother, and the relationship mellows Sun Woo and changes his nature to be more compassionate and understanding toward others. Pyeong Ho gets to the point where he can finally let some of his repressed rage come out, instead of bottling his grief inwardly. This proves healthy for him, but his troubles are far from over. Pyeong Ho is accosted by a mean customer at the diner where he works, kicked to the ground and called a Communist; with his body aching and despite blood loss he rushes to an audition to join the primary ballet troupe in South Korea, passes the test, and eventually lands a primary role in the ballet troupe for the Prince in the Nutcracker Suite, due to be shown around Christmas time in the theater. 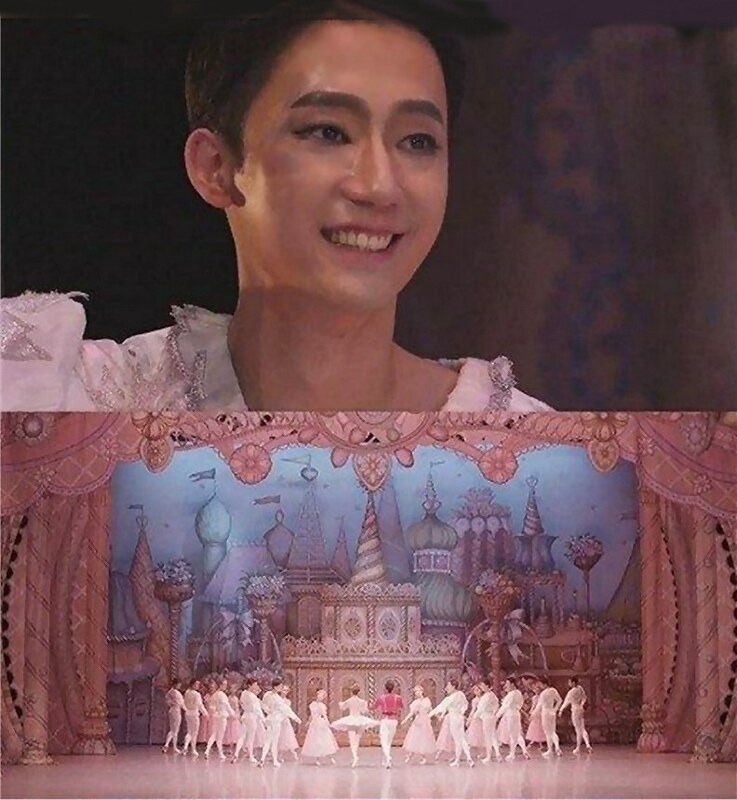 Then a jealous ballerino, who is mad he didn't get the role of the Prince, gets back at Pyeong Ho by whispering to him just before the performance that he heard his sister, who had managed to escape to Laos, has been dragged back to North Korea again! Then Pyeong Ho, waiting in the wings of the theater to go on as the Prince, faints at the news and cannot go on. He is hospitalized with convulsions and the other jealous dancer goes on stage in his place. My gosh, people are so cruel to him, jealous of his humanity and talents. It gets to the point that Pyeong Ho can no longer concentrate on anything but his sister. He tells his teachers he knows the tortures escapees who are caught receive from the North Korean government. He has seen them all his life. The situation is desperate. Will there be a miracle from heaven, or has Godless North Korea outlawed miracles? At only two episodes, Ballerino is easy to fit into your regular drama watching schedule. I wouldn't miss it for the world. The music, the dance, the haunting writing and performances, direction, and cinematography are all exceptionally lovely. These two wonderful actors have a huge new fan in me!